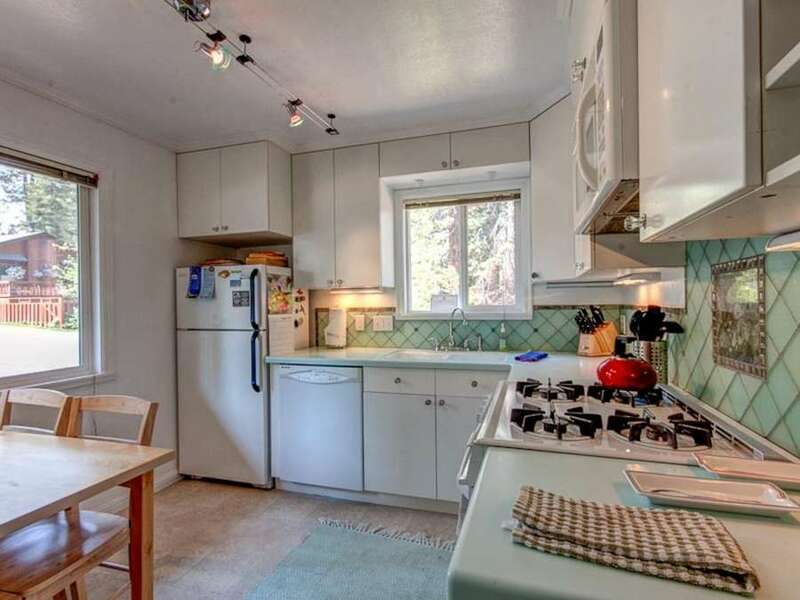 Dog-Friendly - Walk to Lake - Ski Lease PendingTahoe Vista Cabin is available for a ski lease starting either December 1 for 5 months or January 5 for 4 months for $1850/month plus utilities.We do require that all our ski leases are cleaned monthly by our cleaners. 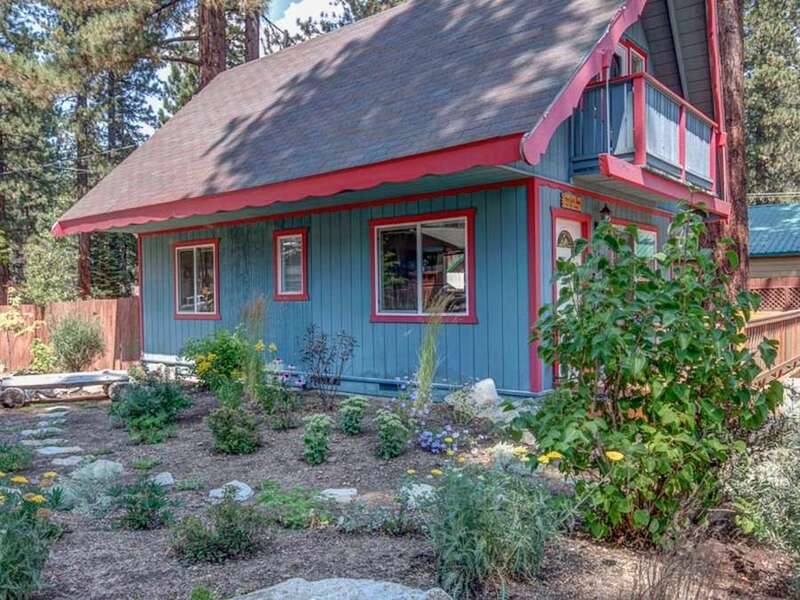 Tahoe Vista Cabin is a cozy, comfortable 2 bedroom vacation rental in a quiet neighborhood close to Lake Tahoe. 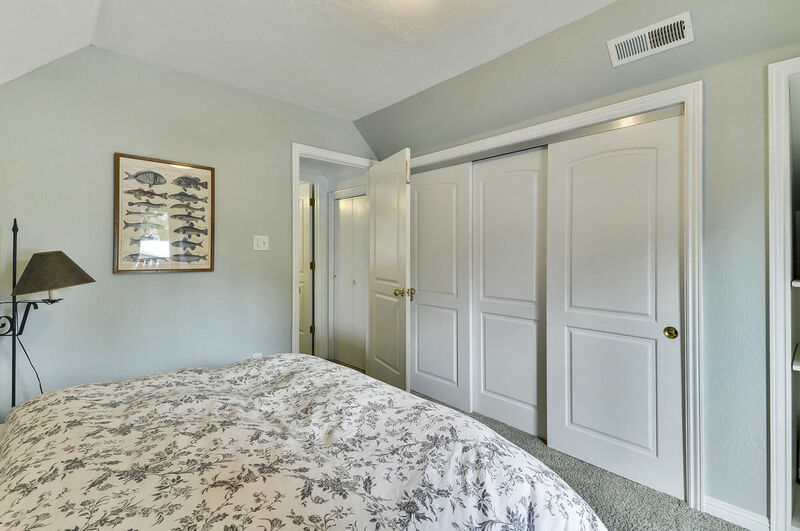 This dog-friendly property comes with a fully fenced yard and a lovely deck to enjoy the warmer months. 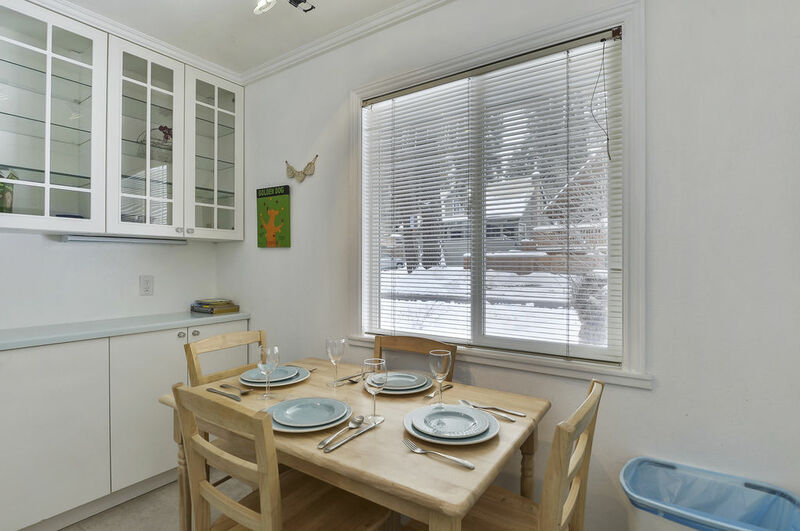 During winter you are conveniently located halfway between Squaw/Alpine and Northstar Resorts. 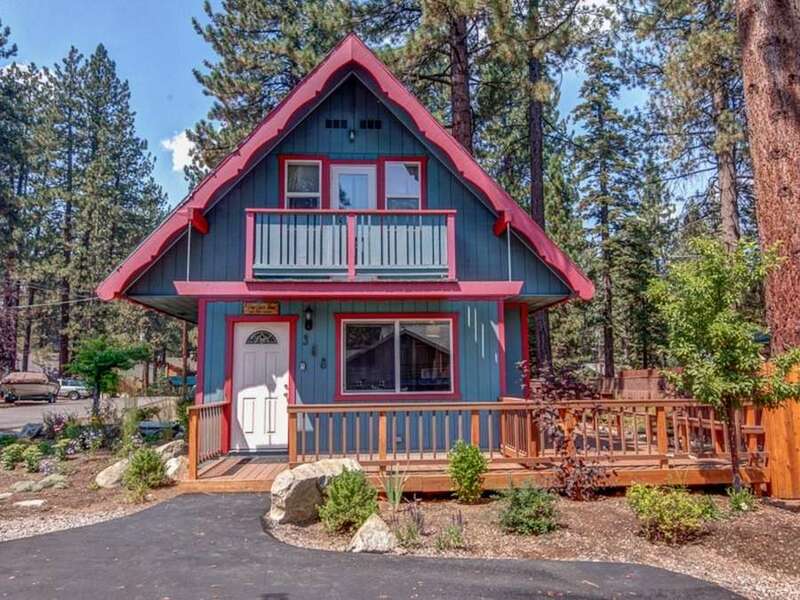 This home is a short distance to the Moon Dunes and Tahoe Vista Recreation Area's sandy beaches, walk to the beach and skip the traffic! 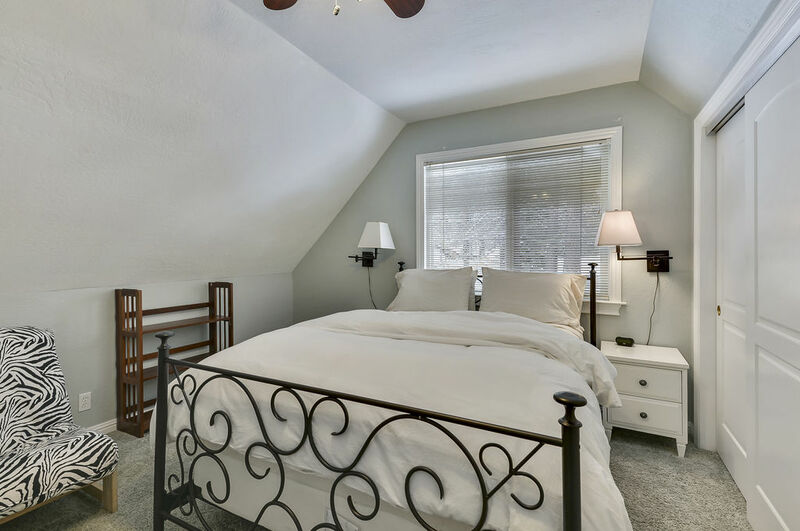 This North Shore vacation home is clean, organized, and all furnishings and linens were purchased brand new for the home. 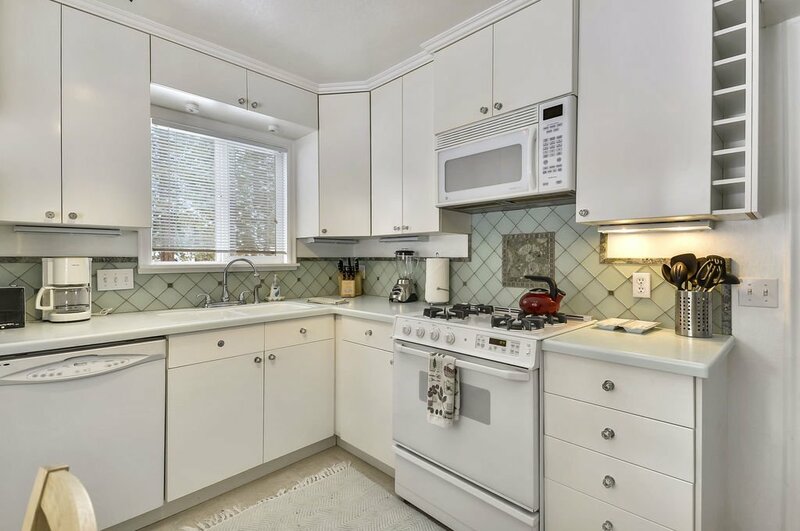 The kitchen is well organized and equipped and has a lovely dining table near a bright window. 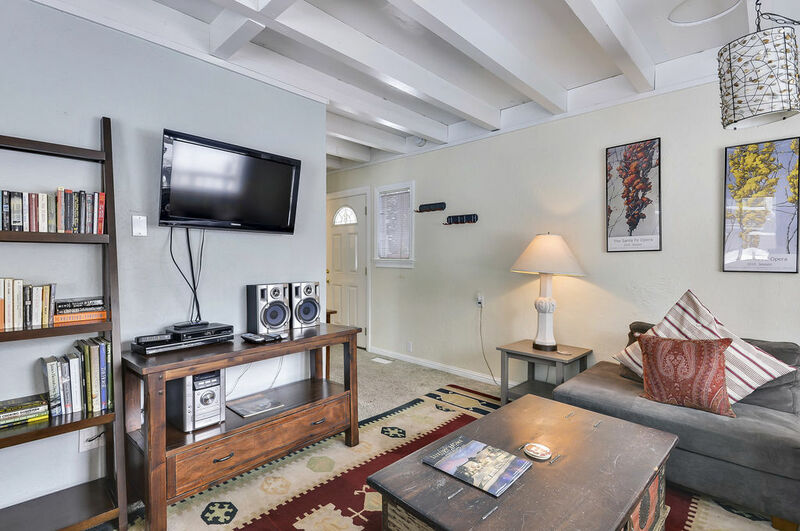 The living room is comfortably set up and has a large flat screen TV with cable. 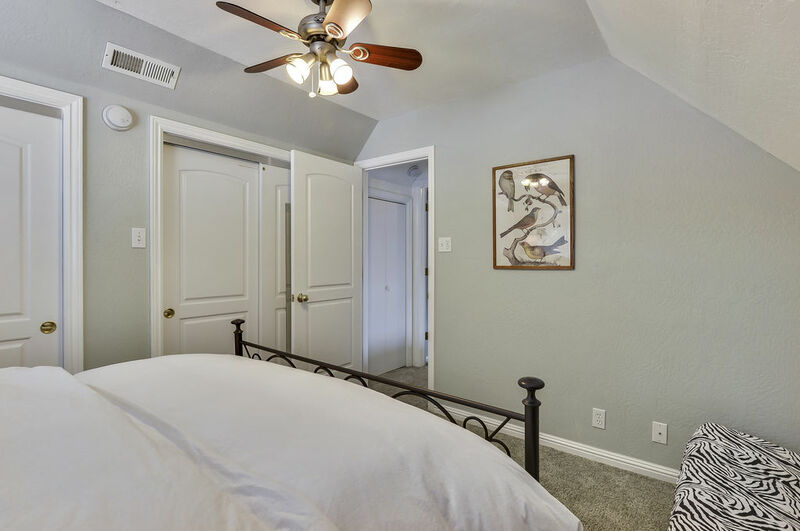 The house has high-speed wireless internet and there is a desk in the living area if needed for any work although it is strongly discouraged. 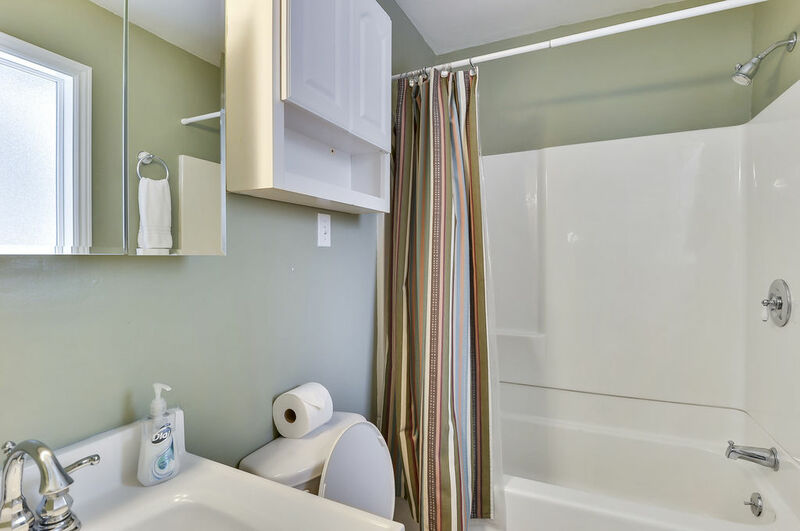 There is a bathroom downstairs with bath/shower and nice towels. 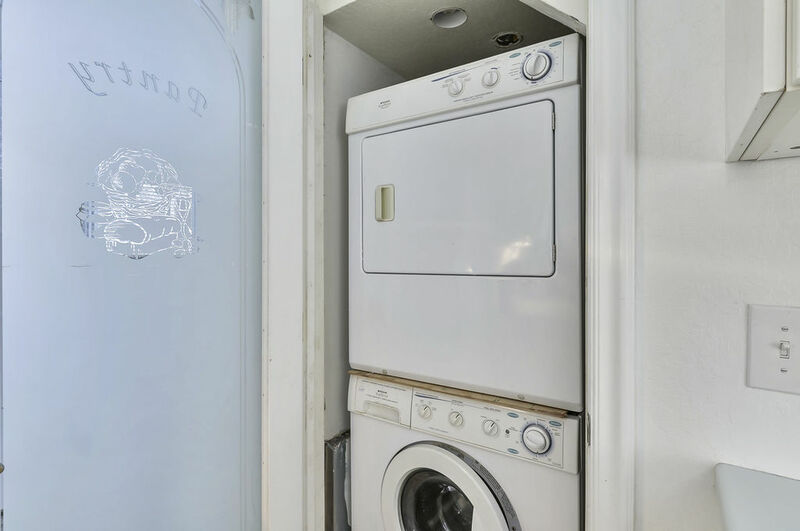 There is also a washing machine and clothes dryer. 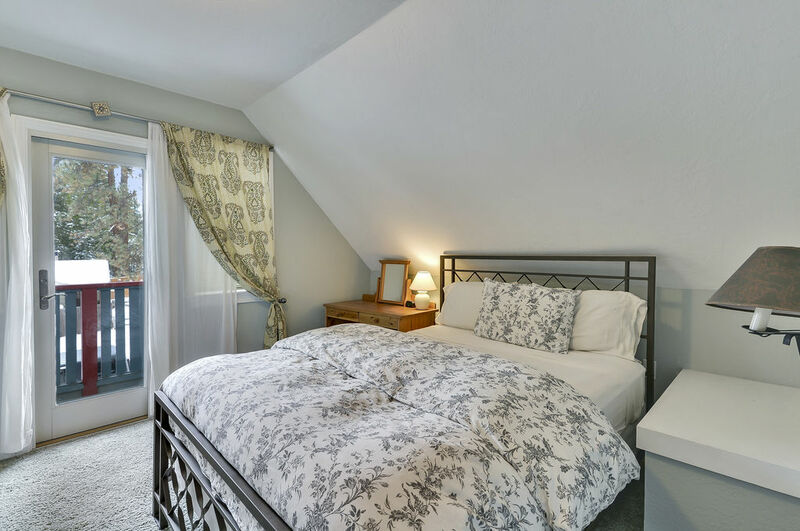 Upstairs there are two bedrooms each with comfortable queen beds and quality linens. 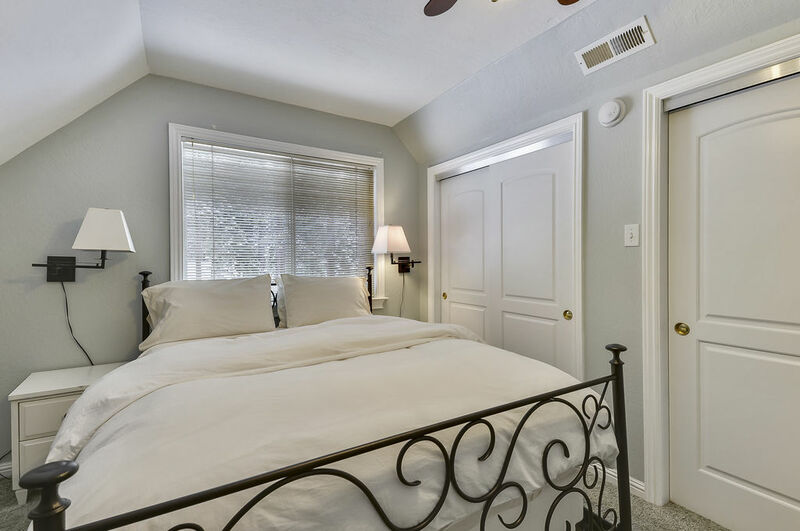 One of the bedrooms also has a twin futon. There is space downstairs to store skis or bikes safely indoors. Beach chairs are provided for your use. 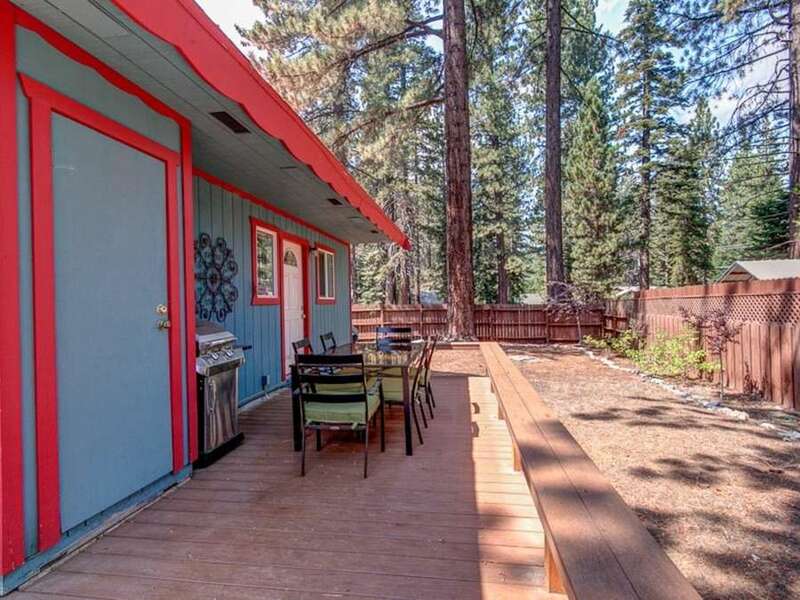 Tahoe Vista Cabin has level access and paved parking, with room to park a boat trailer. The yard is fully fenced and dogs are welcome. It is a two-minute drive to Safeway in Kings Beach. You can hike through the trees within minutes or snowshoe/cross-country ski at the local park. Northstar is a 10-minute drive, and Squaw Valley/Alpine Meadows are approximately 20-minutes away. We (two couples) stayed in this cabin. 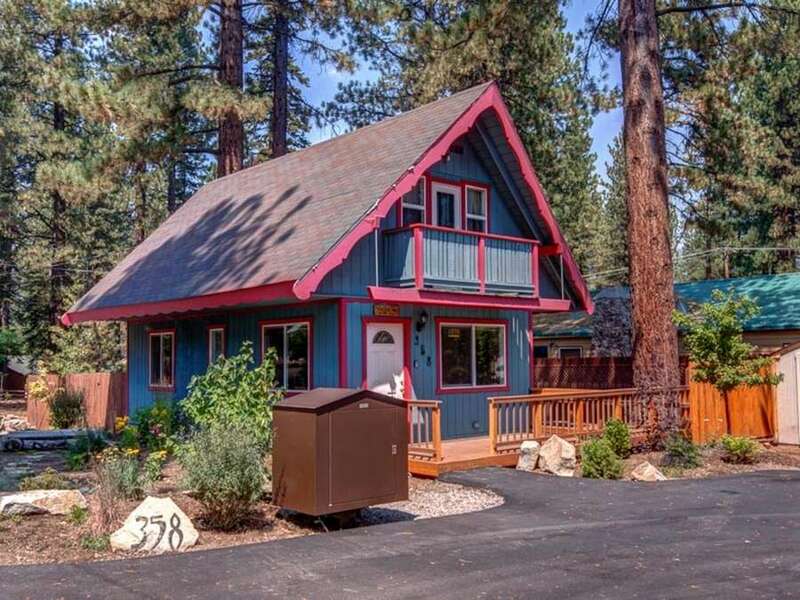 Great location, walking distance to a little beach and some nice restaurants, just a short drive away from major attractions in the north part of Lake Tahoe. 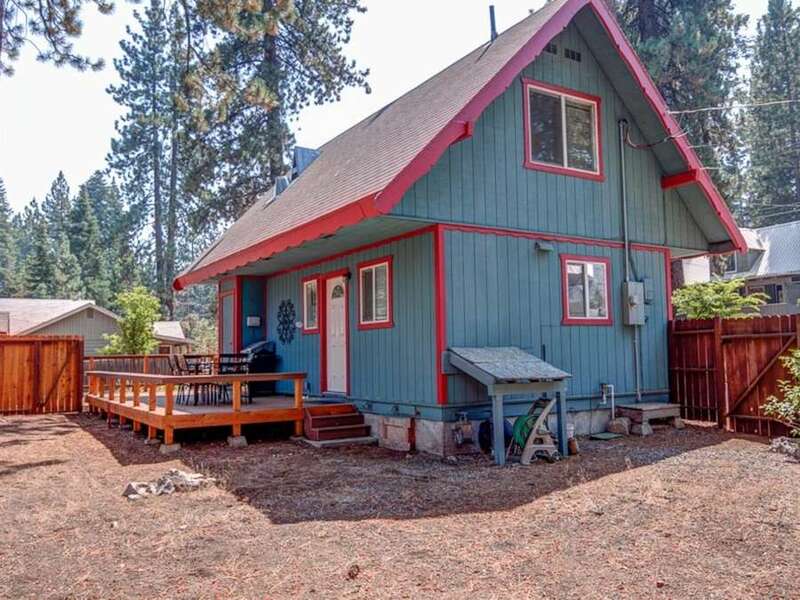 Cabin was comfortable and fully equipped, so if you are going there in the summer time, I would highly recommend to use the grill and enjoy the backyard. 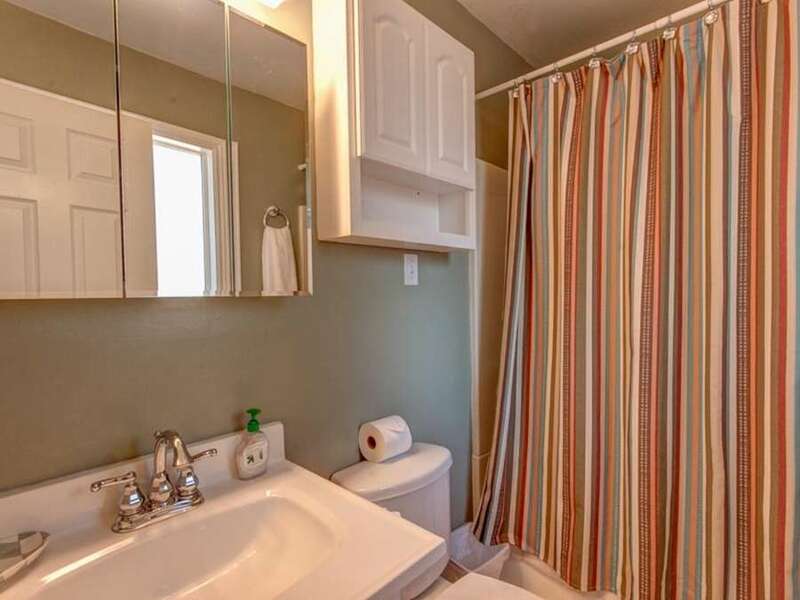 The only downside was the one bathroom, but with two couples it was no problem at all. Cabin was beautiful and perfectly located, there was a lovely bottle of wine waiting for us upon arrival and all the amenities were perfect for a ladies' weekend away! 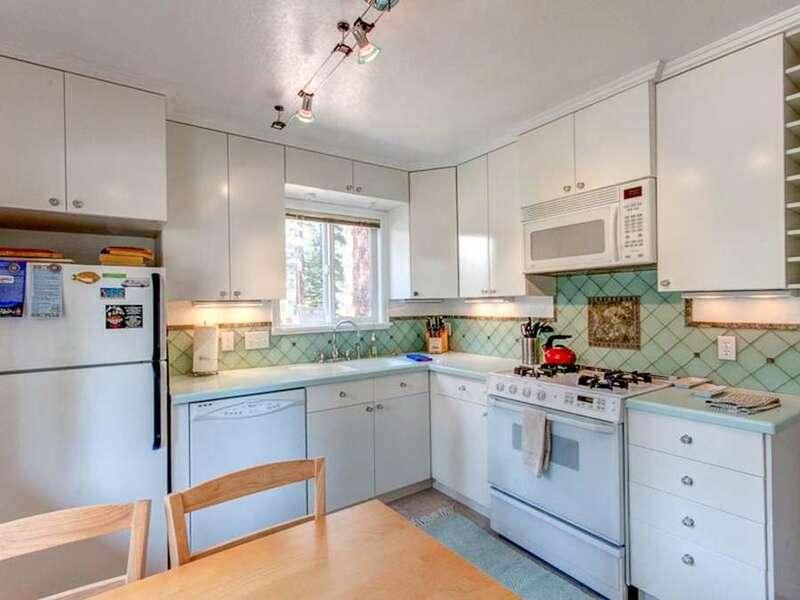 Great place to share for two friends, the kitchen had everything we needed and then some. So peaceful and relaxing, can't wait to come back!